Social media is a very important marketing tool used by many businesses and companies nowadays to reach a wider market in the most efficient and fastest way. The use of social media platforms help in creating more buzz about the products and services being offered by a company. It allows online users to be aware about the specifics of the company and what products and services they provide to people. 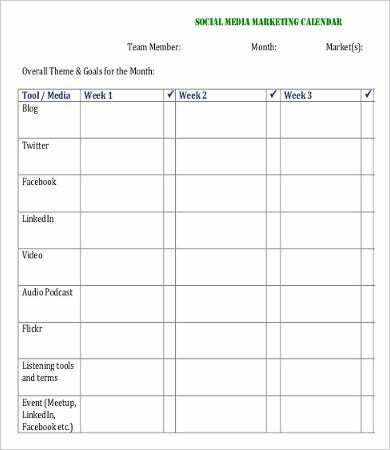 Social media accounts must be maintained to supply a coherent flow of marketing activities. 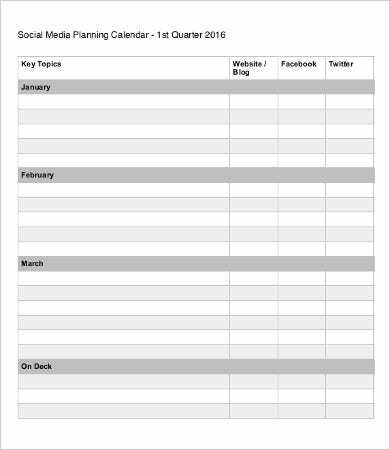 This is why the need for a social media calendar is very essential as it helps in creating a more concrete plan for social media activities done by a company. 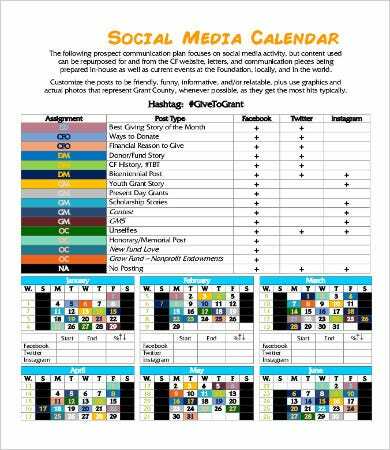 Aside from our social media calendar templates, you may also download our Calendar Templates. 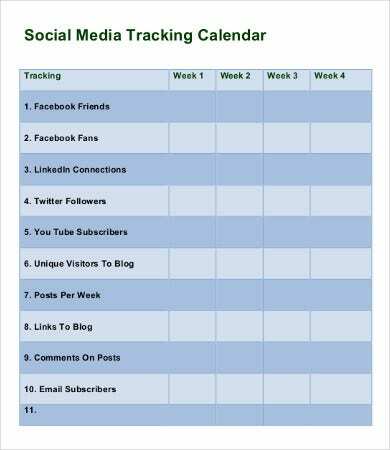 Make sure that you are updating your social media platforms at least once a day so that there are new things that people may browse through in a daily basis. Use the appropriate images and texts in all your social media accounts as they will reflect the nature of your company and will greatly impact your company’s online reputation. 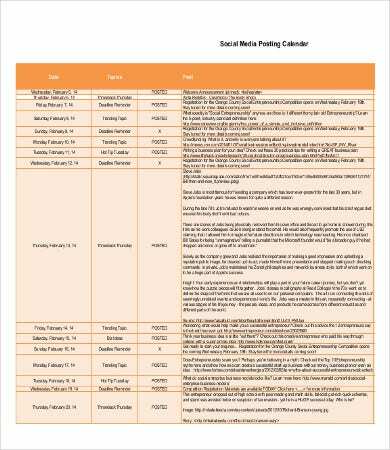 Analyze which times of the day are most appropriate in posting content. It may depend on the number of hypes a specific post receives. 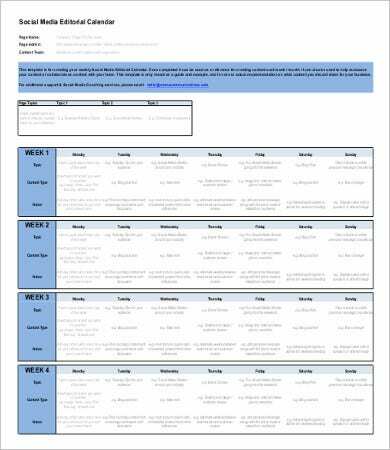 A big number of shares and re-posting activities. The number of likes and comments a post receives. The kind of reaction people have about a specific post. Numbers are truly important in the online world as it allows the company to know how they perform in terms of maintaining their social media accounts. 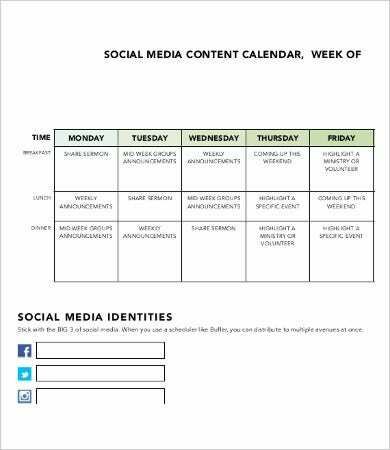 Other than our downloadable social media calendar templates, you may also be interested in looking at our Marketing Calendar Templates and Sample Social Media Calendar Templates on our website. It allows the company to maintain its online activities and rapport to the online community. It helps build more followers hence may translate to more people believing in the products and service being offered by the company. It helps companies to see trends with their online activities. 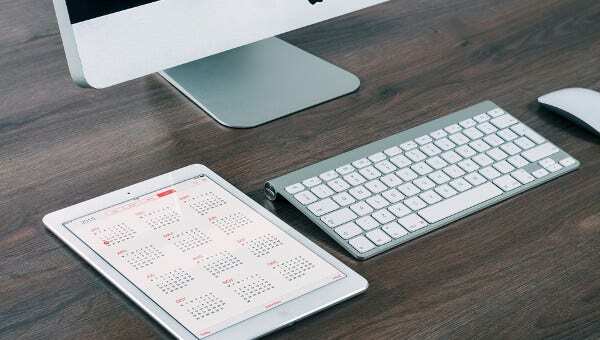 It makes it easier for companies to plan about the next moves that they are to do online. It is truly necessary to keep up with the modernization of our world. 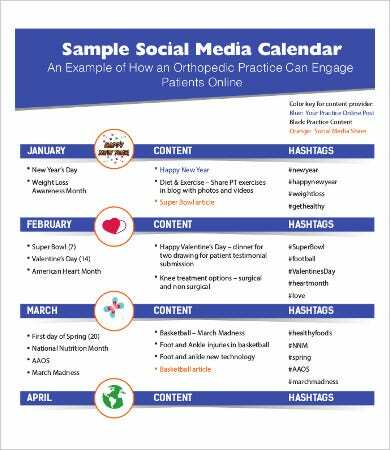 Having a social media calendar can do wonders in terms of marketing processes and once used properly, it can give the company a lot of advantages only social media platforms can give. 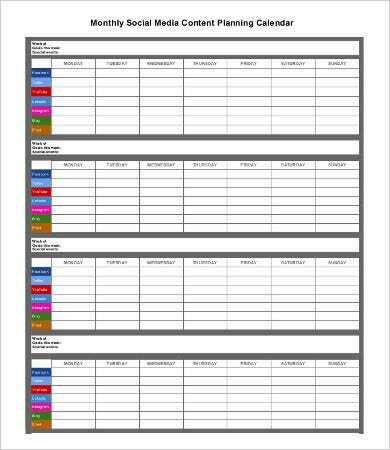 You may also browse through our Excel Calendar Template which may be used for other scheduling purposes should you think that you already have a grip about the use and purpose of a social media calendar.